SOAPBOX CREATIONS: Washi Caddy Giveaway! I love to use washi in the negative space of a die cut. This organizer looks awesome. Thank you for the giveaway! 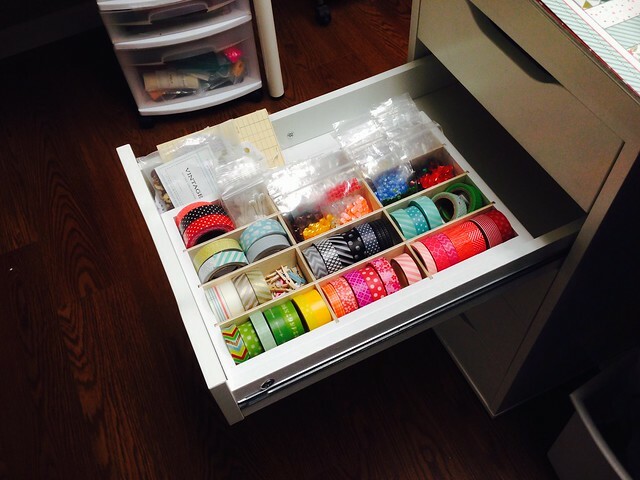 Love your drawer...all that washi and those sequins!!! I use washi a lot for backgrounds on cards...making tags in books and to cover things for my kids...like bookmarks. Thank you for the chance to win! What a fun organizer. I actually have only used washi tape once on a card. I do use it for masking and other things like that, though. I use washi tape on my cards and holding my dies down when using my big shot. This organizer looks super cool!! Thanks for the chance to win! I like to use washi to hold my dies in place, but it's really gorgeous to cover a while sheet of paper with different tapes and then die cut shapes from it. I've made REALLY cool feathers! Oooo! Love it! Love OrganizeMore stuff and appreciate an opportunity to win one! I use washi more on cards that anything else. I also use with die-cutting depending on the project. Thanks for the chance, very awesome. Gah! I love this! I use washi on all kinds of stuff, but I love decorating envelopes that I put in the mail and wrapped gifts. I NEED this!! I use washi tape on EVERYTHING!! I have decorated shoes, my washer and dryer, refrigerator, cards, canvases, my bureaus, candle holders, glasses, pocketbooks, wallets, lamps, a chandelier, my Workbox, the edges of all of my organizers, tool handles, ashtrays, wine bottles, hairbands, jackets, my oxygen bottles and so many other things with it! It is my go~to embellishment. I am just getting on the sequin wagon and am loving adding them to lots of projects!! Would LOVE to win this to help me wrangle my abundant collection of tapes!! Thank you for the chance to!! 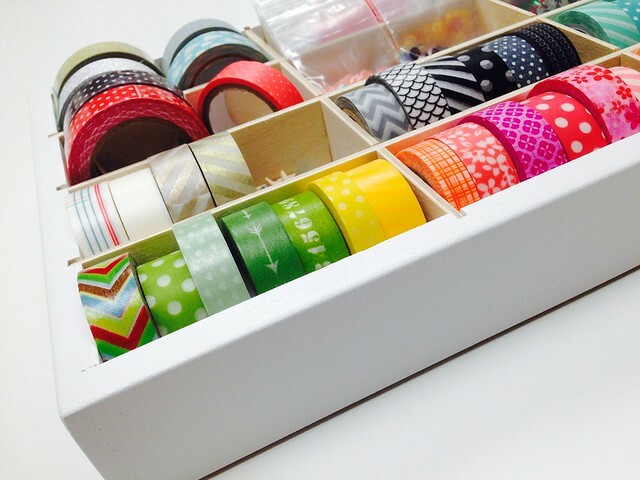 What a fun way to organize washi tapes! and other little do dads! My favorite way to use washi tapes are on greeting cards! It was on the more difficult side to narrow it down to a favorite as there are so many varied uses for this versatile product of course. Thank you for the chance to win! Wow! That is perfect for washi...but I can think of other uses for it too! Thanks for the chance to win! Fabulous caddy. Thanks for the chance to win. I mostly use Washi on cards, but have also used it to dress up a package that I have first wrapped in either white butcher paper or kraft wrap. I love the washi organizer! I like to use washi as a border on a card or to seal a little treat bag. I constantly use washi tape to hold a die in place when I'm ready to put it thru my die cutting machine. Great idea, my washi tape is just thrown in a basket and doesn't get used because I don't like digging thru the basket. I'd love to win this and get organized. Thanks for the chance to win Laurie! So funny - just this morning I realized that my collection has grown to the point that I need to organize it in some way. I love washi as a pop of color down the side of a card!. This is a great organizer that looks the perfect size. Thanks for the chance to win! Love the flexibility of washi and the pop of color/design that washi tape adds. 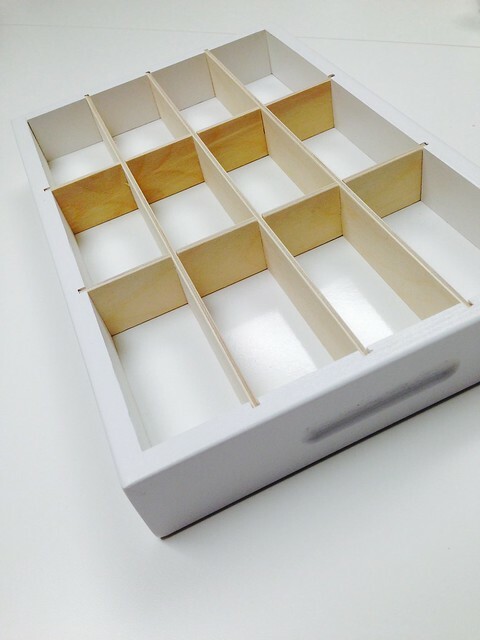 What a great organizer for your craft supplies. I love using washing on my gift bags and baskets! I use washi on my cards, along with decorating my planner and journaling pages with it. I trally like the organizer as it looks like it would fit in my craft room drawers. Thanks for the chance to win! I love organizing my craft room and this washi organizer looks awesome! I really enjoy getting inspiration from Laurie's cards! Love that you have your sequins in there too! Love this piece, thanks so much for the chance to win! Love to use Washi Tape to decorate containers for gift giving. Thanks for the chance to win! I love that organizer! I use washi tape for labelling school supplies that belong to my kids. Each one chooses a roll and we put it on everything that goes to school! This looks like a great organizer for washi! I love to use washi in place of ribbon on cards - it gives an extra pop of pattern and color without being too fussy! What an awesome giveaway! 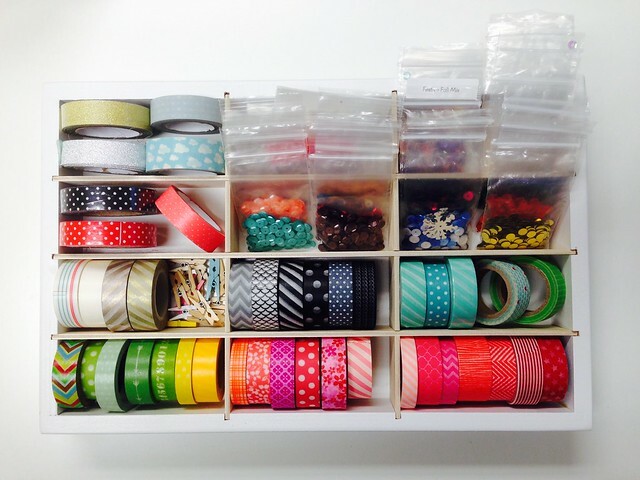 Would love to win this to organize all my washi tape! My favorite use for washi tape is to stick on little journaling notes on a scrapbook page. My grandkids' favorite use for washi tape is to put it on everything! So I always have to have a lot of washi tape on hand! This organizer would be perfect! Thanks for the chance to win! What a great storage idea!!! I love Washi tape on my cards to dress them up and I use it in my planner to add some color and block dates off! I'll say this is quite perfect! Love it! Believe it or not, I'm down to zero washi because my kids used it all (I know, blame it on the kids, right?! lol). Though, when I have it I tend to use it for hanging up notes or wrapping gifts. I love this, what a perfect solution! I love washi tape, especially for using it to hold my dies in place. This is great, perfect for on your desk all jazzed up or in a drawer. Awesome organizer! I love the way the tapes are all visible and easy to get to the one you want! I use washi tape to close little glassine envelopes with sequins or punched shapes inside... makes a cute and easy little shaker card! Wow, what a cool drawer. I have a few too many rolls of washi tape and tape is overflowing right now. I love using my washti tape most on my envelopes. It just makes mail look so pretty. I love how Washi tape dresses up those plain jane envelopes! The mail carrier is so impressed by all the "work" put into dressing up an envelop! (all the work...if he only knew!) What a perfect organizer. What an awesome organizer! It could be used for so many things. My collection of Washi Tape is not as large as yours, but I love sealing little gift bags! I am kinda late to the washi craze but I now have 8 rolls!! Would love this organizer. I love to use them on cards -such a quick and easy accent/border. Thanks for the chance. Hi, Laurie...I like washi tape but just haven't used it as much as some have. Beside card making, I found that washi tape was a great way to mount the pictures from our previous year's block party on some foam board. The added color and cute, whimsical designs made for a fun addition to the pictures. It also made the white foam board not quite so boring! Thanks to all for the give away! Happy Thanksgiving to you! This is amazing! Would love to win this. I use washi tape on my cards. Thanks for the chance. What a great organizer! I love Organize More's ink shelves too! I love the Washi storage! I really like using Washi tape on cards but my most frequent way of using it lately is to seal handmade envelopes. Thanks for a chance to win! I love to use my washing tape as a border for my cards. What a great organizer for washing tape! Thanks for the opportunity to win it! What a darling way to store washi tape! I love to use washi tape to create patterns on cards...and I love to use it to hold dies in place when die cutting. Thanks for the opportunity to win! I've recently been looking for a new way to store my washi & this looks like the perfect solution:). I like to use my washi on my gift packaging. 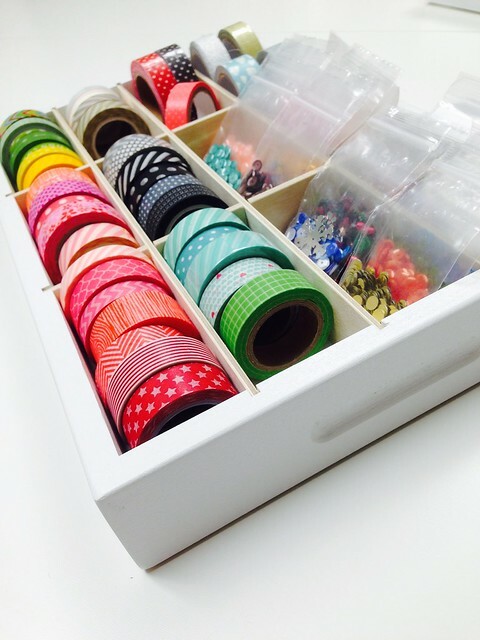 Awesome organizer for Washi tape!!! I love Washi tape. I buy a little here and there to build up my stash. I love using it on cards, ATC's and use it on all my envelopes. I use washi tape on cards, envelops... The latest trend for me has been using it to embellish boxes and other household items, including pill bottles that I later use to store all kinds of things. My favorite use for Washi is to put a torn piece on the backs of envelopes where the flap meets the underside. Just a nice unexpected bit of color and pattern. Lol I find my washi collection is growing! Thanks for the giveaway! This is so clever! I have their marker storage bins and love them. My fav use of washi is as a background with a few diff types that look good together lined up. I use washi to decorate cards. A bit boring but true! seriously, isn't it something to see all your washi organized? LOVE that container! I've been trying to incorporate more of my washi into my card design...LOL. I always use to it decorate my pretty mail that I send out and I love it to use when I use my cuttlebug to keep those dies in place. I've been collecting quite a bit of washi and I love this storage unit! Looks like it's a great quality piece and it's handsome, too - thanks so much for showing it in action. LOVE this drawer! What a fab way to store Washi and stay organized. I would so heart having one very much!! I use washi on my cards, in my art journal, to seal up envelopes, as a bandaid...no I'm just kidding about the band aid part!! But I love me some washi!! Thanks for the chance!! What a fun giveaway! I love using washi tape on my cards and as a tool to hold down my dies when using my Vagabond. Love Organize More products! I like to use washi to create a background on a CAS white card, and then, for an extra pop, on the envelope, too. Thanks for the chance to win! I use washi on every layout typically just for some fun color pops, but recently I've been using it with die cuts to create my own embellishments. What a wonderful holder! Love this idea! Besides using washi tape on cards and craft projects, I often use it when we are traveling to hold our vitamin containers closed! Kind of strange, but works great and comes off easy! I love this...my favorite use for Washi Tape is quick thank you cards for the parents of my preschool class. Finally someone has come up with a great solution for storing my washi. I happen to have an Alex desk and would love a chance at this great giveaway. Gorgeous giveaway! I love using washi on the back of envelopes ... makes them so pretty! just started remodeling my craft room -sure could us the caddy. Washi tape is fun to use to decorate pumpkins or wrapping paper. I love this little caddy and think it will fit well the recollection drawers too! What can't you use washi tape on?! I like to use it as a quick accent to a simple card to dress it up a bit. I love washi tape so much that it is hard to pick my favorite use! I love decorating clothespins with washi tape and using them as chip clips, or putting magnets on the back and hanging note or photos on the side of the fridge. (I also wrap washi tape around my phone charger plug to identify it as mine and try to keep the teenagers from "borrowing it") and use it a ton on paper crafting projects. I tend to use it as accents on pages and cards. Not very creative but I do love the patterns and colors it comes in. Love using washi as borders for my cards! Thanks so much for the giveaway! I love creating backgrounds on cards with washi tape! washi tape is fun to create a plaid or striped background - hard to resist collecting them! 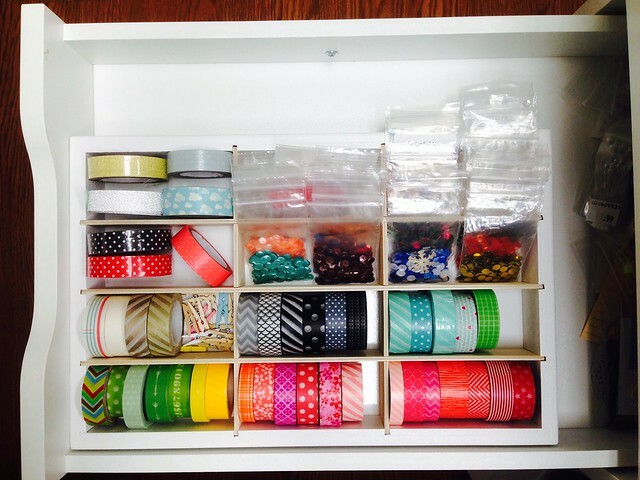 What a great idea - and I have SO many rolls of washi tape - could really use this! My favorite 2 ways to use washi tape are to decorate envelopes and gift bags/boxes!! I love using washi tape on cards and scrapbook pages instead of ribbon adds character to the page but not a lot of depth. My favorite place to use wash tape is in my planner! Woohoo! Everyone can appreciate more storage options! I, for one, would love to win this. What an awesome storage idea! Would love to,win, thanks for the chance! I love to use washi to seal my envelopes and treat bags. Thanks for the chance to win this great organizer! I love using washi tape to cut out a die or frame lit. I tape down on card stock then take a die shape and cut out. It's great for the holidays! I love the organizer - which I desperatly need! I love OrganizeMore! 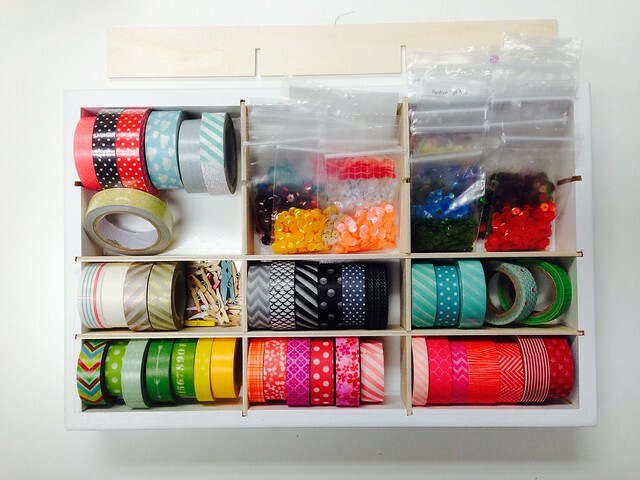 Your ideas for the Washi Tape Organizer are great. Thanks for sharing. I use washi tape on my cards and scrap pages love, love , love it ! I would love to use it for my daughter and my hair stuff. I use washi tape in my calendar to highlight events, trips, vacation. This organizer is fantastic! So many uses! I especially like making my own birthday cards and I love to take nice cardboard boxes and decorate them and trim them with Washi tapes. I like to use washi on cards and as home decor. I use washi on lots of things, but my favorite is on my kids note books and papers to add some fun! I'm not sure if it is most favorite use, but my most frequent use for washi is to dress up an envelope a bit. Often it is just a piece on the back over the closure, but it is amazing how much cuter an envelope is with a tiny piece of washi on it! My favorite use for Washi is decorating things. Also, my students love using it in class. I stick a piece folded over the top of a toothpick, then snip it to look like a pennant flag and use it for cupcake decorations. What a great idea. I would love to win this. My washi is dropped in a plastic tub. With this organizer I could see at a glance what I have and it wouldn't take as much space. I have to confess- I don't actually use washi tape!! But, I have tons of other embellies that this would be perfect for. I used wash tape to decorate switch plates in my house to dress up the light switches a bit. I love anything that has Gold in it! 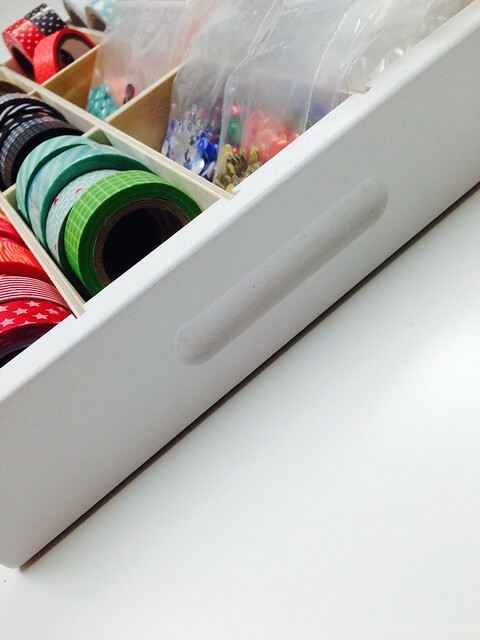 Great looking organizer for washi tape and embellishments. I'm obsessed with washi tape and could sure use several of these trays. Thanks for the chance to win and for sharing the discount code. I like to use Washi on my home=made greeting cards. It adds the perfect touch! I use it mostly for decorations or scrapbooking projects. That looks like an awesome organizing tool. What a great caddy! Storage is such an issue, and this really fills a need. I have a large collection of Washi tape because I can't resist the beautiful colors/patterns! I use it on cards, and to decorate anything and everything I can think of. Thanks for this great opportunity. I love making cards ad scrapbooking with it! It makes it so much easier! I like to use it for decorating pencil holders, notebooks, and even pens. My favorite use for washi is actually to label and food containers. I know, not very crafty. LOL! What a nice organizer - so well-constructed. I like using washi for holding dies down, and for adding a dash of color behind pop-up layers on a card. I also use it to mark my tools when I'm going to a craft gathering. :) Thanks for the chance at winning, and have a happy Thanksgiving!